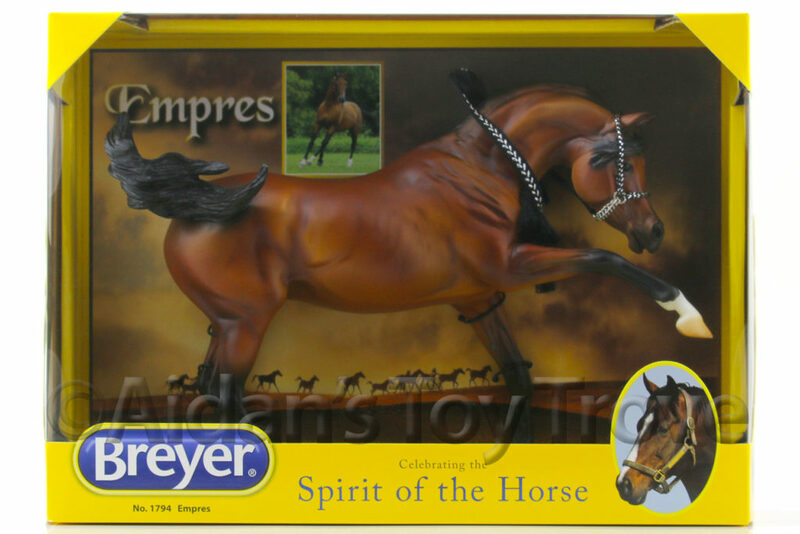 Home » Model Horse	» Breyer Fletcher Available For Preorder Glossy OR Matte Finish! 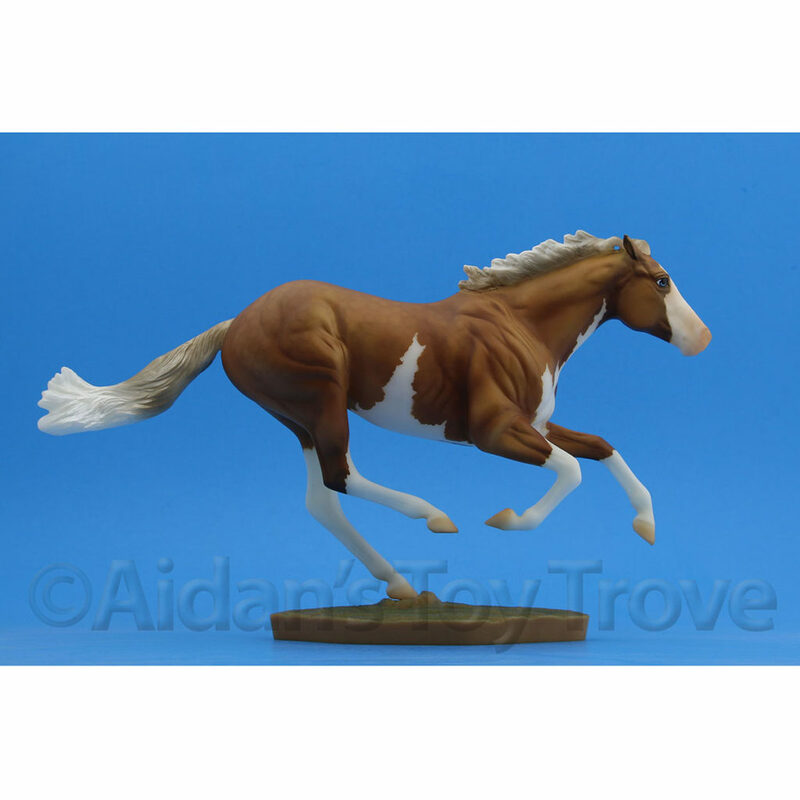 Breyer Fletcher Available For Preorder Glossy OR Matte Finish! Wow, that was fast! 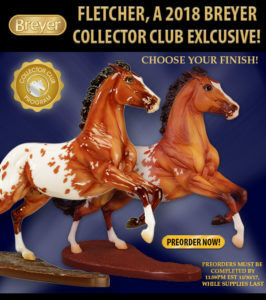 Fletcher is now available for preorder for Breyer 2017 / 2018 Collector’s Club Members. Members who joined on or after April 2017 may order Fletcher and 2018 member are also eligible. You can read my original blog post on Fletcher here. 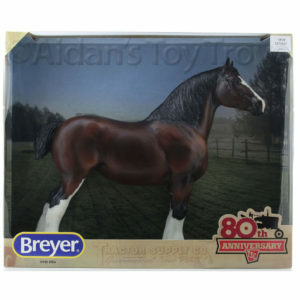 Make sure you are logged into your Breyer Collector’s Club and you can see Fletcher at this link. 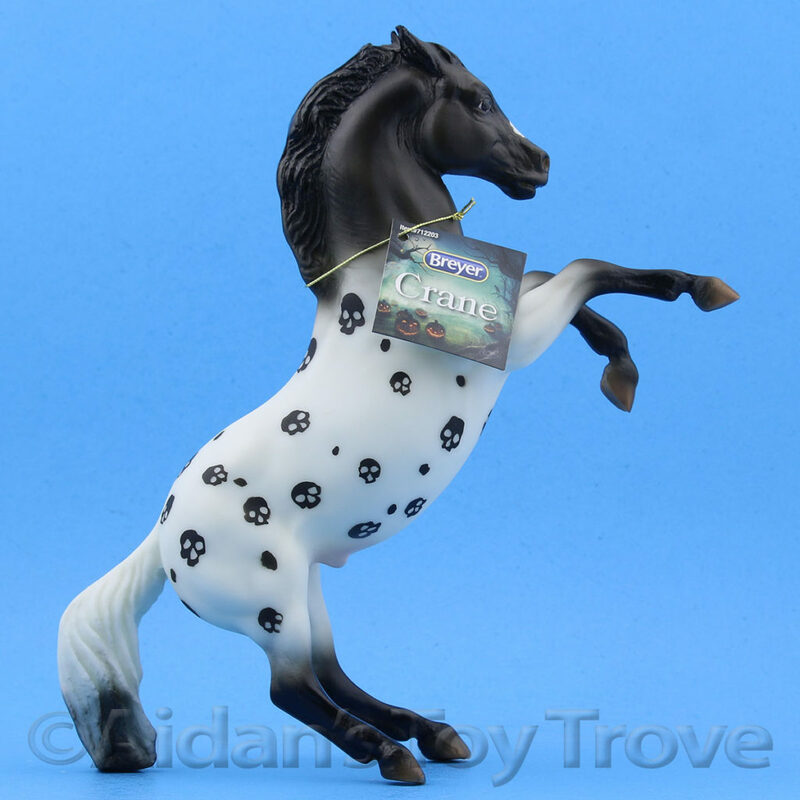 I’m delighted to say that Fletcher will be offered in both a matte AND glossy finish. Kudos to those of you guessed glossy and matte might be an option. I certainly didn’t expect it! 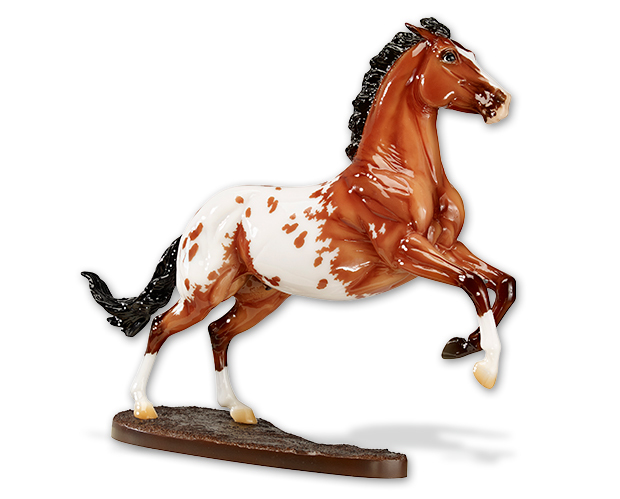 If you want the glossy finish, you must preorder by November 30, 2017 and select the glossy finish. Otherwise a matte Fletcher will be reserved for you (pending your deposit). I’m opting for a glossy Fletcher. 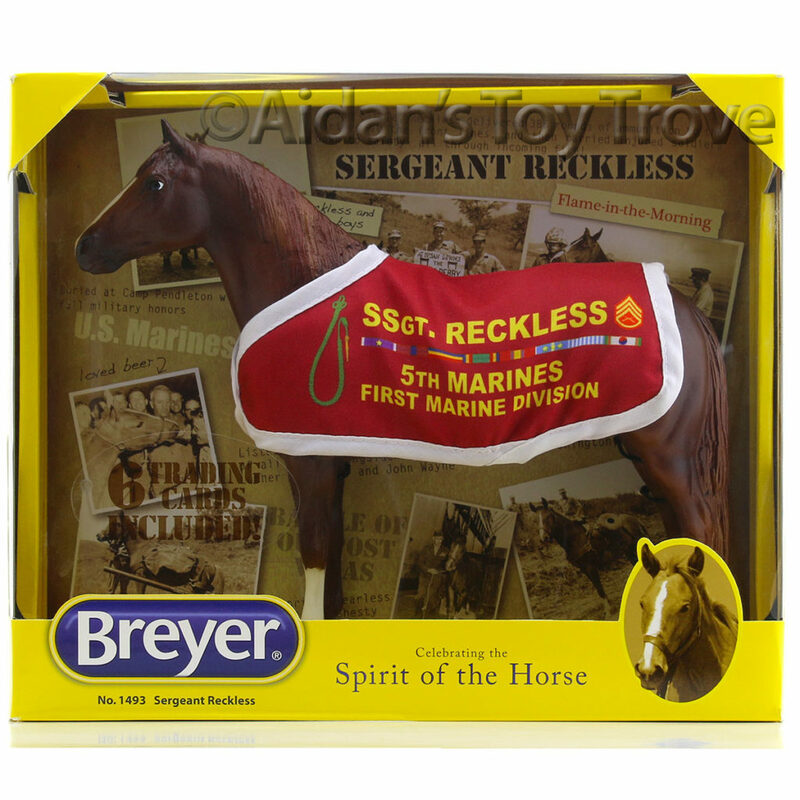 Fletcher’s full purchase price from Breyer is $75 plus shipping. 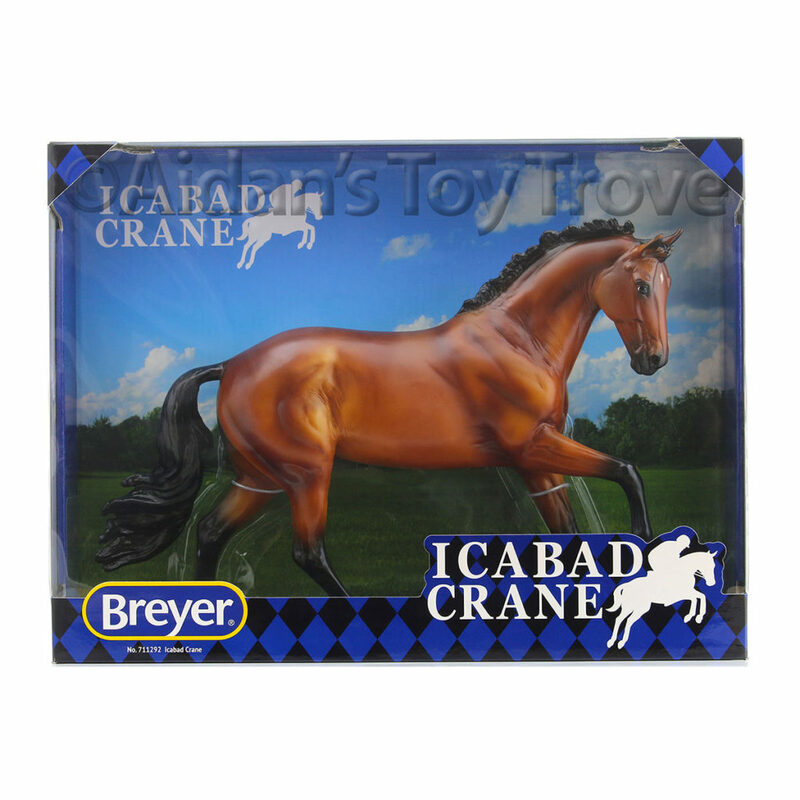 If shipping cost is consistent with the price Breyer has been charging this year, domestic shipping will be $14.50. 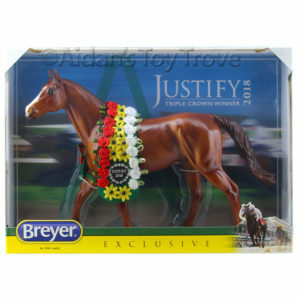 Breyer is only asking for a $25 deposit now with the balance due when Fletcher is released. Will you choose glossy or matte Fletcher? 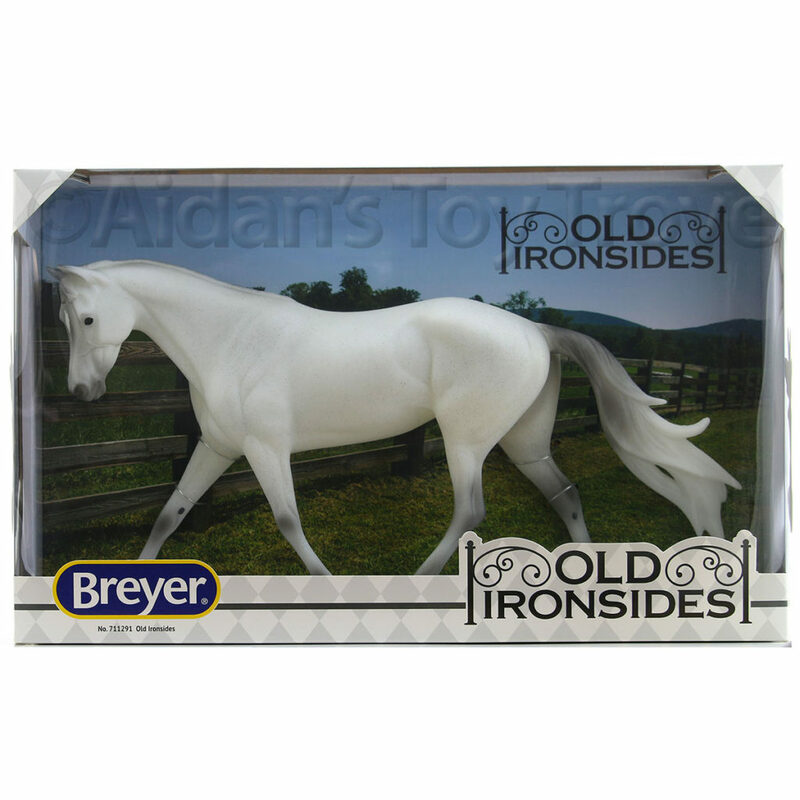 Breyer did not specify a release date for Fletcher. This year, Moondance was released in April. 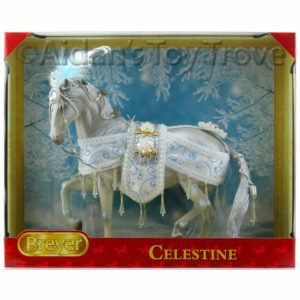 Griffin was release in October. My best guess is that Fletcher will be released in the Spring of 2018. 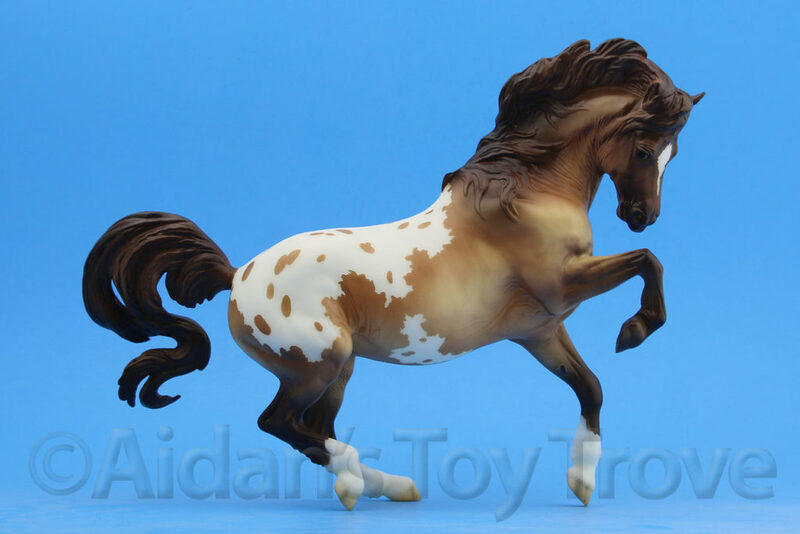 Fletcher is a stunning wild bay Appaloosa gelding with three white socks and a blaze. 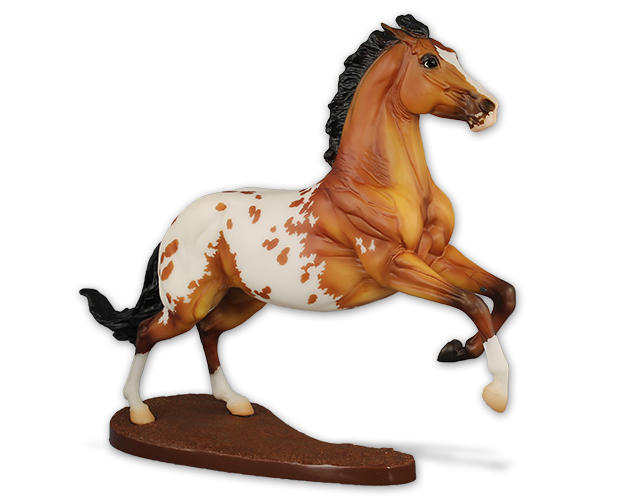 Perfect to display or to bring to your next Performance set up, Fletcher is an exclusive for Breyer 2018 Collector Club Members. 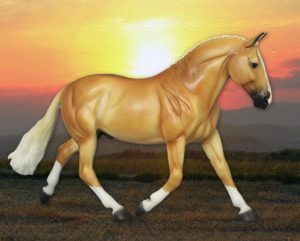 Preorder by November 30, 2017 while supplies last, and choose his finish in glossy or matte. 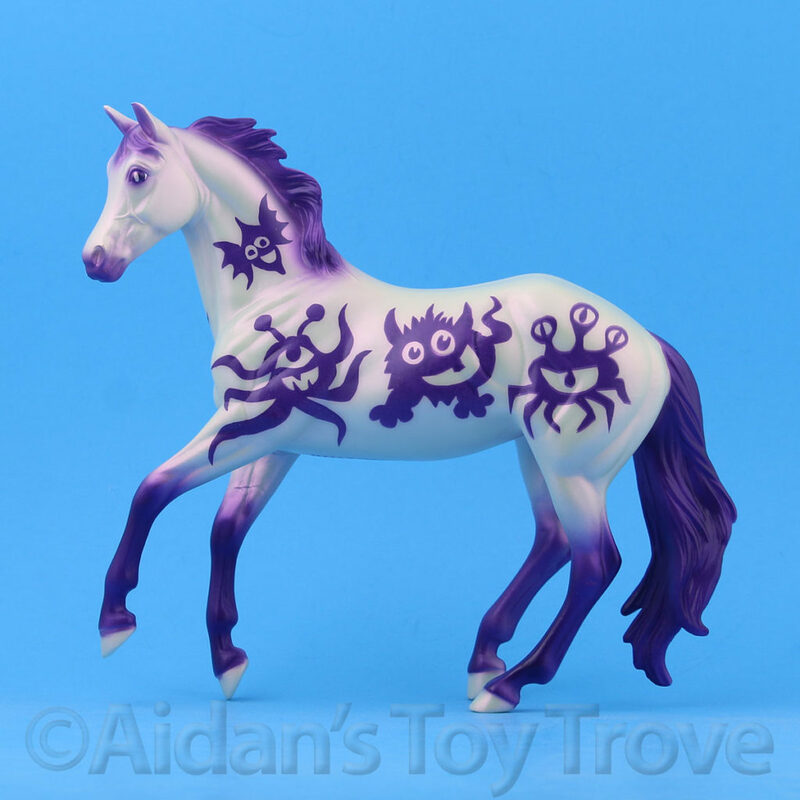 Preorders received without a finish selection will be processed for a model with a matte finish. 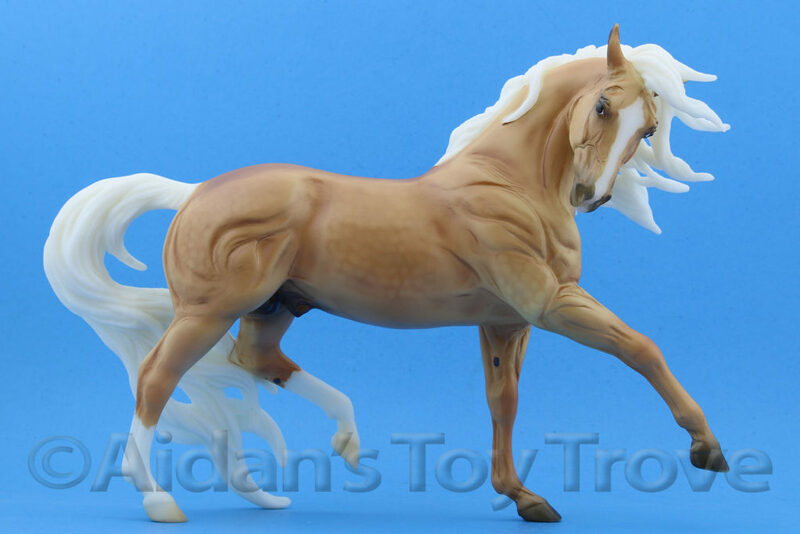 *Exclusively limited to Collector Club members whose membership was purchased on or after April 2017, as well as to all 2018 members, for preorder. Deposit required. Preorders must be completed by 11:59pm EST 11/30/17, while supplies last. 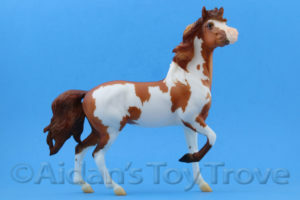 Fletcher is $75 plus S&H. 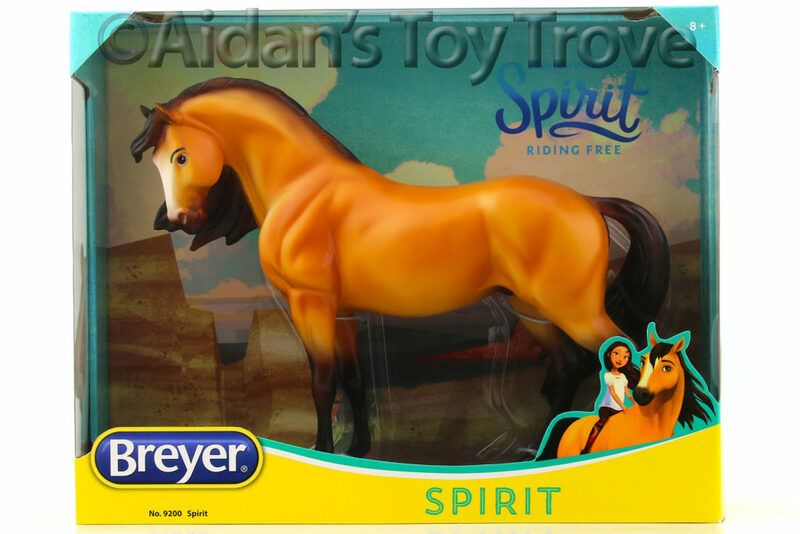 A non-refundable deposit of $25 is due at the time of preorder.